Cofactor Genomics has raised $18 million in Series A financing toward its next phase of growth, with plans to translate its RNA-based diagnostic platform into applications designed for research labs and clinical practices. Cofactor is commercializing a suite of clinical diagnostic assays targeting oncologic, immunologic, and neurodegenerative diseases. The company has secured CAP/CLIA accreditation of its platform, designed to process clinical-grade formalin-fixed paraffin embedded (FFPE) patient samples, as well as the validation and launch of two initial products. 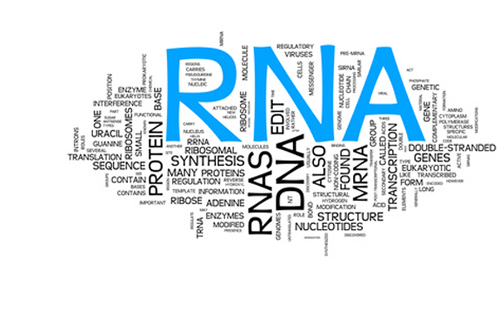 Cofactor Pinnacle, launched in February, is intended to examine nearly 600 RNA biomarkers known to be associated with response to targeted therapeutics. The other offering, Paragon, is an RNA-based immunophenotyping assay is envisioned to have broad applications in immuno-oncology and beyond. “This financing—which includes leading investors who have grown hugely successful companies spanning the data science, biotech, and healthcare verticals—is enormous validation of the platform that we’ve built,” Cofactor founder and CEO Jarret Glasscock, Ph.D., said yesterday in a statement. The oversubscribed Series A financing was led by Menlo Ventures, with “major” participation from existing investor Data Collective (DCVC) and new investor Ascension Ventures—as well as participation from existing and new investors iSelect, Y Combinator, Wilson Sonsini Goodrich & Rosati, and Stanford. Cofactor has appointed to its board Mark Siegel, managing director at Menlo Ventures; Matt Ocko, co-managing partner at DCVC; and John Kuelper, investment director at Ascension Ventures. “While NGS has already revolutionized clinical DNA analysis, the practical and computational challenges of multiplexed clinical RNA analysis have relegated this technology to research settings,” Kuelper stated. “Cofactor is uniquely positioned to bring this technology out of academia and into the clinic, expanding the reach of precision medicine to a broader class of molecularly targeted drugs whose efficacy can’t be assessed with DNA alone. Founded by three former Human Genome Project molecular and data scientists, St. Louis-based Cofactor says its RNA analysis platform is designed to help researchers and clinicians understand, diagnose, and predict drug response for the 95% of diseases that cannot be assessed by DNA alone. The company expanded into RNA-based molecular diagnostics last year after it acquired Narus Biotechnologies for an undisclosed price. Cofactor says it also provides RNA sequencing and analysis services to the research arms of eight of the world’s largest pharma and biotech companies. “I, as well as many on my team, have lost family members to cancer, so being able to see Cofactor’s technology improve oncologists’ ability to select therapy and impact patient outcomes is of great importance to my talented and tenacious team,” Dr. Glasscock added.